Join our world-renowned clients earning 20% more from parking. 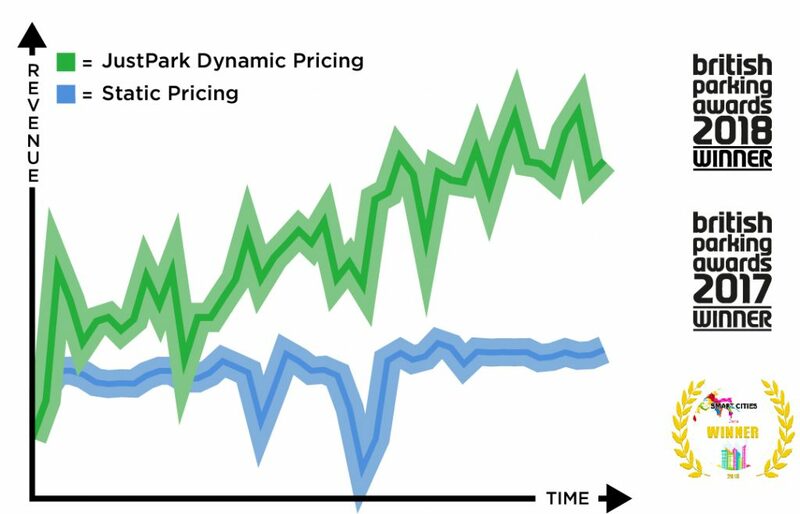 Parking lags behind comparable industries (such as hospitality) in pricing strategy and yield management. 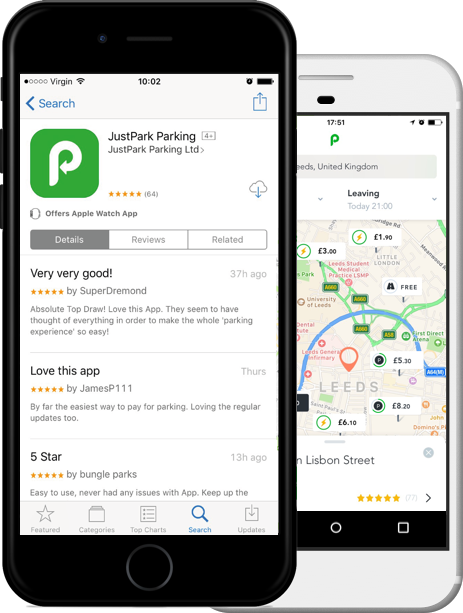 JustPark have therefore developed a unique dynamic pricing system for car parks which optimises tariffs based on historic occupancy and search data – lowering rates to encourage drivers to park during off-peak, and increasing rates when spaces are in short supply. Our award-winning solution is easy to integrate and has been proven to increase revenue by 20% on average. This optimised, responsive tariff system increases yield for operators – whilst also helping to create positive relationships with customers, by offering comparably low rates during off-peak periods. 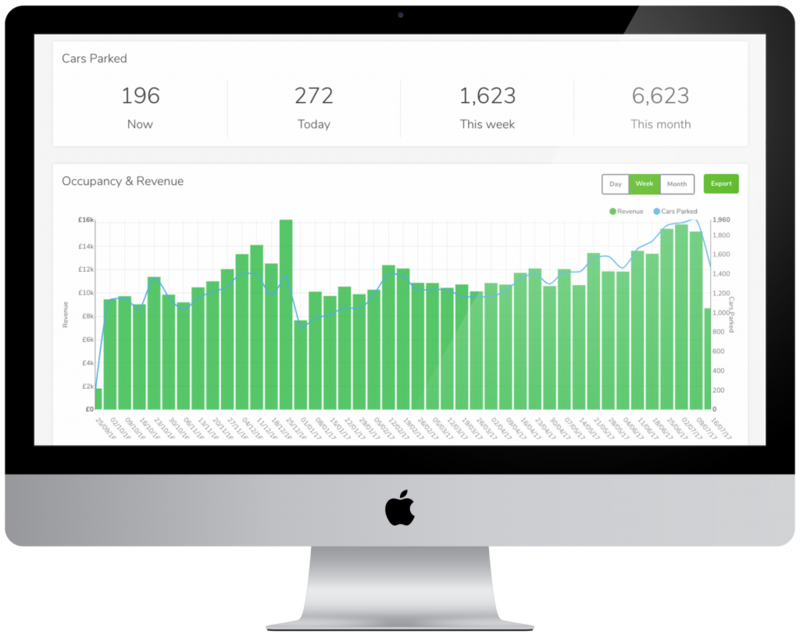 Our online reporting suite provides in-depth analysis of car park performance – displaying real-time revenue and occupancy data, and providing full visibility on driver identities and behaviour. Flexible for individual needs, car park data can be filtered by standard reporting periods with custom date selection. Permits can also be generated via the portal for the likes of staff or office workers. The mobile-friendly booking feed makes it possible for you to know who is in your car park at any given time – with vehicle registration info updated in real-time for added security. Optimising your marketing channels and pricing strategies can be difficult without an understanding of expected occupancies. Our predictive availability platform uses data from multiple sources (payments, camera feeds, sensors, online search traffic, historic occupancy) to forecast expected occupancy on any given day. This information can then be used to tailor pricing and marketing initiatives to maximise revenue. For example, we use data to predict higher demand on event days and can therefore adjust your prices accordingly. This is all automated and happens in real time. Or – if you have multiple car parks in one area – as customers make informed decisions on where to park ahead of their arrival, we can direct drivers to sites with lower occupancies. For more information: Call +44 (0)1375 807 213. Or, fill out the form below and one of our team will get back to you. If you are a driver and need help with your booking, Contact our Driver Happiness team here.